With an acceptance rate of just 7 percent, Yale University is one of the most selective colleges in the country. To get into an Ivy League school such as Yale, you're going to need stellar grades and high SAT/ACT scores as well as impressive accomplishments outside of the classroom. 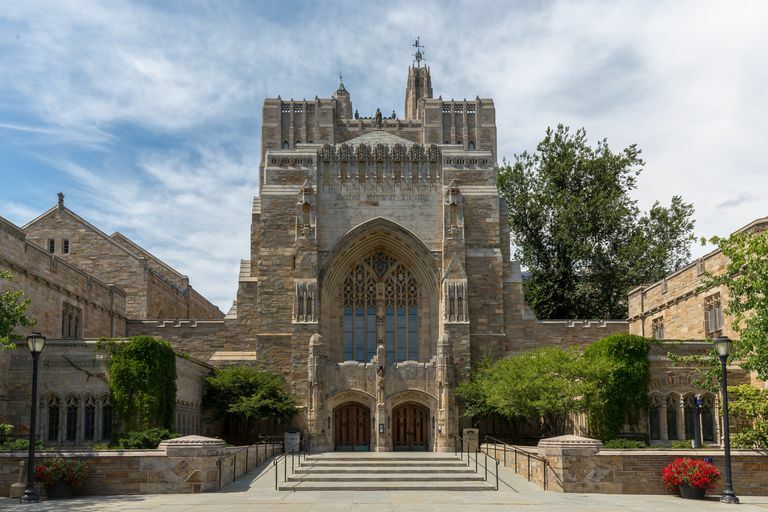 Not surprisingly, Yale made our lists of Top National Universities, Top New England Colleges, and Top Connecticut Colleges. Many graduate programs are also highly rated. Campus Features: Yale's 260-acre historic main campus includes buildings dating back to 1750, stunning Gothic architecture, and the unique windowless Beinecke Library. Athletics: The Yale Bulldogs compete at the NCAA Division I level as a member of the prestigious Ivy League. Highlights: Founded in 1701 and supported by a $29 billion endowment, Yale is one of the leading research universities in the world. Modeled after Oxford and Cambridge, Yale has a system of fourteen residential colleges for undergraduates. For students who entered Yale in the 2017-18 academic year, the acceptance rate was 7 percent. Below are SAT and ACT score percentiles for matriculated students. If you compare SAT scores for the Ivy League, you'll see that Yale's scores are among the highest. Nationally, only MIT and Caltech have a slightly higher bar. An average ACT score is 21, so you can see that average isn't going to get you into Yale. Students tend to score in the top percentile of test takers. Yale University GPA, SAT score, and ACT score data for admission. The GPA, SAT score, and ACT score data in the graph is self-reported by applicants to Yale, Grades are unweighted. You can see the real-time graph and calculate your chances of getting into Yale with a free account at Cappex. In the graph above, the blue and green dots represent students who were lucky enough to get in, and you can see that most students who were admitted to Yale had an SAT score (ERW+M) above 1300, and an ACT composite score above 28. Higher test scores will improve your chances measurably, and much more common is a combined SAT score above 1400 and an ACT composite score of 32 or better. Nearly all successful applicants had high school transcripts filled with "A" grades, and GPAs tend to be in the 3.7 to 4.0 range. Also, realize that hidden beneath the blue and green in the upper right corner of the graph is a lot of red. When your grades and test scores are on target for Yale, you're still going to need other strengths to impress the admissions committee. Students really do get rejected with 4.0 GPAs and nearly perfect SAT scores. What can you do to improve your chances of getting into Yale? The university has a holistic admissions policy, so non-numerical measures such as letters of recommendation, extracurricular activities, and application essays all play an important role (see tips for acing your Common Application essay). With extracurriculars, depth and leadership in one activity will be more impressive than a smattering of superficial involvement. For example, a student who does drama for all four years in high school and takes the lead role in a play will be more impressive than a student who was on stage crew one year, Spanish club the next year, and yearbook another year. Also, Yale University has a single-choice early action plan. If you know that Yale is your first-choice school, it's worth applying early. The acceptance rate tends to be well over twice as high for early action applicants as it is for the regular applicant pool. Applying early is one way that you can demonstrate your interest in the university. Finally, legacy status can also improve your chances of getting into any of the Ivy League schools. 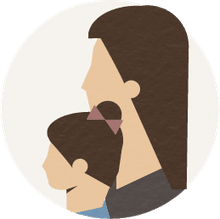 This is something that colleges don't tend to publicize much, and it isn't something that you have any control over, but many schools will give a slight preference to applicants who have a parent or sibling who attended. This builds family loyalty for the institution, something that has value on the fundraising front. Rejection and waitlist data for Yale admissions. The first graph in this article makes it seem like you're likely to be admitted if you have a 4.0 GPA and a combined SAT score of 1400 or higher. If we strip away the blue and green data points for accepted students, however, we immediately see the less encouraging reality. Lots of academically stellar students get rejected from Yale. No matter what your grades and standardized test scores are, you should consider Yale a reach school. The rejection (red) and waitlist (yellow) data points show just how important the non-numerical parts of your application are. Yale wants stellar students and students who have skills and talents that will enrich the campus community in meaningful ways. About half of all Yale students receive grant aid from the university, and the financial aid packages tend to be generous for qualifying students. The university can also boast of high retention and graduation rates. Applicants to Yale often apply to other Ivy League schools such as Harvard University, Princeton University, and Columbia University. Just keep in mind that all of the Ivies are extremely selective and should be considered reach schools. Other top universities that tend to appeal to Yale applicants include Duke University, the Massachusetts Institute of Technology, and Stanford University.